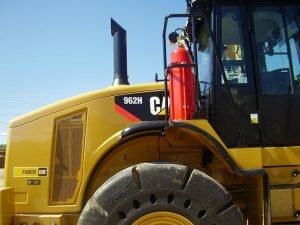 Kidde Fire Systems designed the Sentinel LS Wet Chemical System to protect haulers, graders, forestry, waste management machines and trucks, and other vehicles and machines. 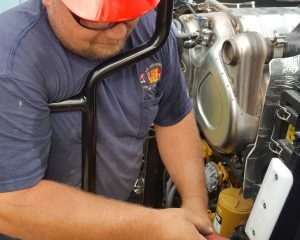 The LS System employs multiple means of actuation, providing flexibility for how the system is controlled and activated. 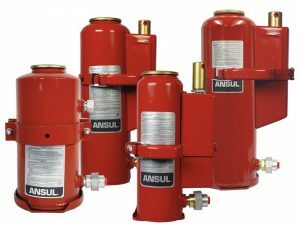 The Sentinel LS system utilizes a new fire suppression technology, multi-purpose AquaGreen XT Wet Chemical agent. With fast flame knockdown and chemical interference with the propagation of flame, AquaGreen XT provides excellent class “B” and class “A” suppression. 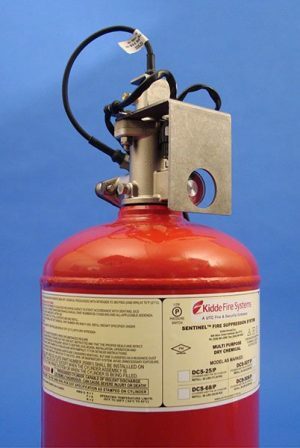 The system can also be used as a secondary securement against re-ignition after a dry chemical discharge. 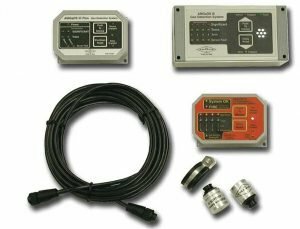 The LS System utilizes a variety of detection technologies to sense heat or flames produced by fires. Flexible hose layouts provide ease of installation and design. There are two nozzles, the HX nozzle (high proximity) and LX (low proximity), that can be mixed and matched on any system to provide the best fire suppression patterns. The Sentinel LS cylinders and bracketing have met stringent UL 1254 shock and vibration testing, and are fully FM approved. 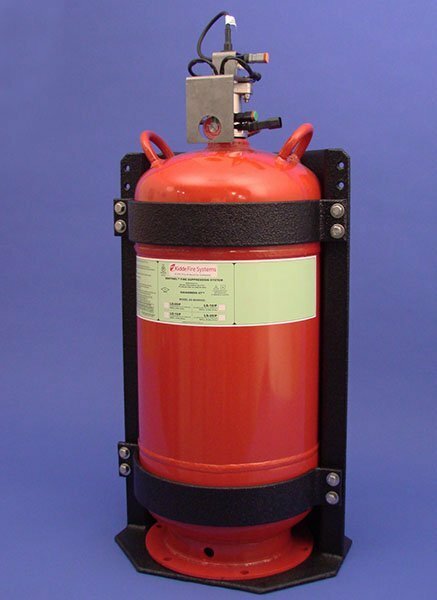 Standard cylinders are DOT/TC approved welded steel shells, 4BW construction. They are pressurized to 360 PSIG at 70°F (21°C). The valve is forged, nickel plated brass, providing long-term reliability in rugged environments. The valve is a high-flow balanced pressure design, providing flexibility in hose design parameters.